The university is currently in the process of replacing plastic straws with paper straws at retail dining locations across campus. A regional partnership among Virginia Tech, Blacksburg and Christiansburg, and Montgomery County now gives the community access to 12 bike stations with eight being housed on the Virginia Tech campus. Seventy-five bikes are in circulation with plans to expand in the future. Riders gain access to the bikes through a smart phone app. The program offers flexible pricing and timing options, along with unlimited daily, monthly and yearly memberships. The State University of New York (SUNY) Purchase campus recently completed the installation of energy-efficient LED lighting at its Performing Arts Center, the library, and in campus streetlights. 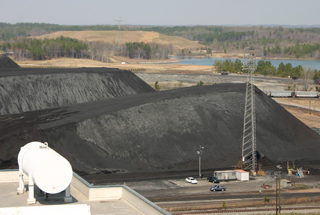 In addition to lowering greenhouse gas emissions, the project is estimated to save taxpayers more than $161,000 annually. The AASHE Sustainability Awards recognize sustainability achievements, research advancements and student leadership. Across 10 categories, 34 finalists were chosen from nearly 300 submissions. Winners for all categories, including the inaugural Lifetime Achievement Award, will be announced mid-September. 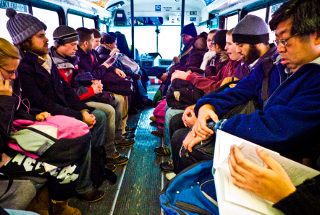 The university has signed a one-year agreement with a transit company to provide unlimited transportation access on certain routes for all VCU students and employees. The $1.2 million initiative will become effective on Aug. 1. A professor of Plant Science and Landscape Architecture at the University of Maryland will collaborate with researchers from George Washington University, University of Delaware, and Resources for the Future using a $1.1 million grant to further research on sea-level rise and saltwater intrusion on Maryland's Eastern Shore. 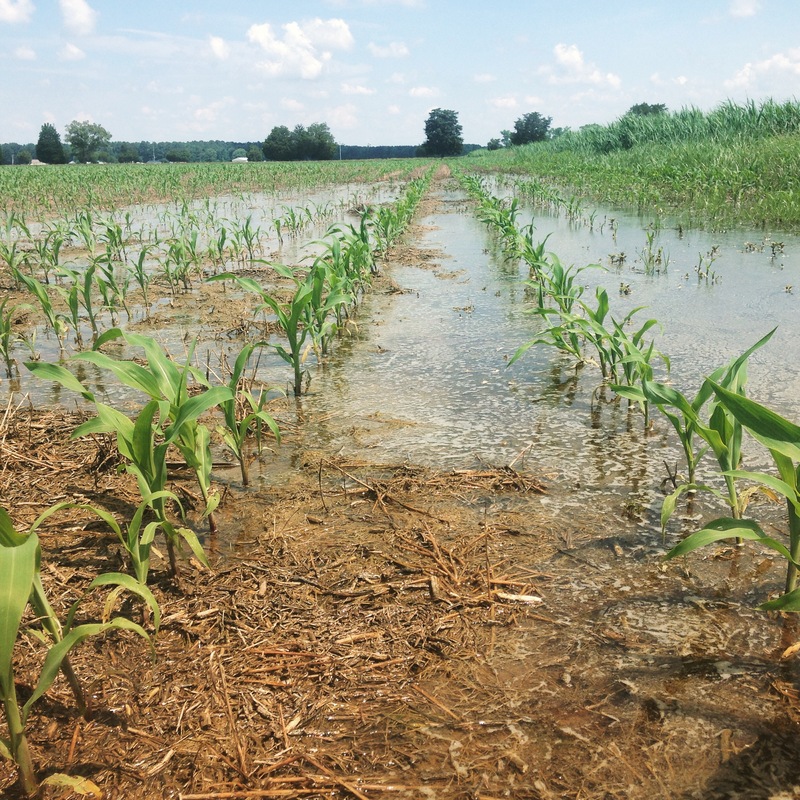 The research combines crop research, wetland ecology, geological and chemical analyses, and economic modeling to determine what crop management strategies work in saltier environments and to identify practical applications that will be the most cost effective and profitable. The project’s outreach initiatives will include webinars, the creation of educational materials, and train-the-trainer sessions. In partnership with a local office supply store, BU Sourcing and Procurement is rolling out a reusable tote program for the delivery of office supplies on campus. 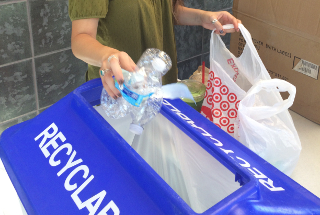 The goal of the program is to reduce the amount of waste created from cardboard packaging. In spring 2018, two solar electric systems were designed by two student organizations, Engineers Without Borders and the National Electrical Contractors Association student chapter, to help increase access to water in Roatán, Honduras. Melissa Nergard has been selected as the inaugural full-time director of Sustainability. Nergard comes to UW-Madison from Illinois State University where she served as director of Sustainability. 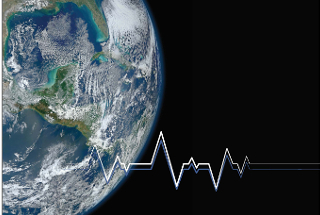 In the near term, Nergard will focus on expanding and re-aligning the Office of Sustainability in order to advance the university’s sustainability efforts, as well as spearhead the university's AASHE Sustainability Tracking, Assessment and Rating System (STARS) reporting and greenhouse gas data collection, benchmarking and reporting. 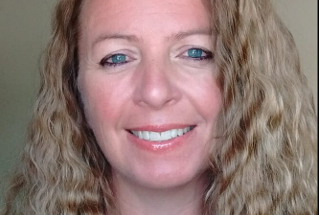 Nergard holds a bachelor’s degree in social sciences from UW–Stevens Point and a master’s in history from Illinois State, and is scheduled to complete her Ph.D. in higher education administration in 2019, also from Illinois State. Thanks to a new in-house partnership, the farm-to-table program will feature food from the university's aquaponics farm, the Foram Sustainable Aquaponics Research Center. The aquaponics system is located in an approximately 4100-square-foot greenhouse that supports student and faculty research in multiple departments. The Million Light Bulb Challenge is a statewide effort to advance the purchase of 1 million high-quality, energy-efficient light bulbs for campus buildings and residences across the state. 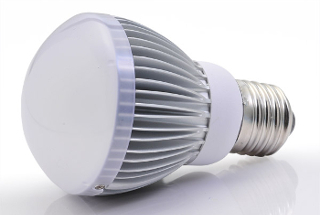 Under the program, all UC students, staff, faculty, retirees and alumni can purchase light bulbs at nearly half the price of online competitors. 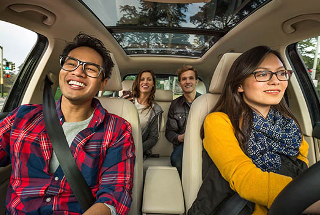 The university's Transportation & Parking Services recently partnered with Enterprise CarShare in an effort to reduce campus traffic congestion while also meeting student needs for on-demand transportation. The new service offers an automated way for the campus community to rent a vehicle by the hour, the day or overnight. 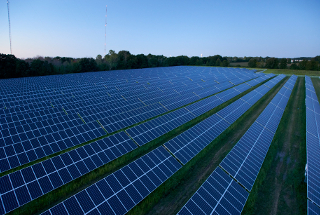 Entering into a 20-year power purchase agreement (PPA), the university will purchase solar electricity from a 2.9-megawatt photovoltaic solar system located just outside of Watertown, New York. The system, which came online in mid-July, is expected to produce 18 percent of the university’s total annual electricity consumption. The university was awarded $75,000 from the West Penn Power Sustainable Energy Fund for the creation of a community educational workshop that will host speakers and sessions related to sustainability and energy for community members and business owners. The workshop will also help identify local needs and gaps. Remaining funding will support revitalization efforts in the city of New Kensington. 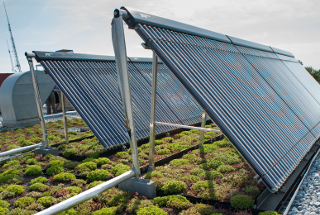 The 95,000-square-foot building features photovoltaic arrays, natural ventilation, natural lighting, rainwater harvesting, radiant flooring, rain gardens and LED fixtures. The university's Valley Dining Center includes an exterior living wall and green roof section, a rain garden that helps to keep 100 percent of stormwater on-site, landscaping designed to be drought tolerant and require little to no irrigation, energy-efficient heating, ventilation, air conditioning, lighting and water systems, a food pulper and water extraction system, and dishwashers with energy-recovery units that use the steam generated during operation to pre-heat the water for further operations. (U.K.) In joining the U.N.-supported Principles for Responsible Investment (PRI), the university now works with its investment managers to incorporate environmental, social and governance factors into their selection criteria. A couple features of the policy are identifying and promoting low or zero-carbon investments where available without detrimental impact to investment risk and returns, divesting in shares in companies which do not respond positively to concerns about their practices or are deemed to be in breach of acceptable standards or ethical or environmental practice, and engaging more proactively with investment managers to ensure that the new policy is being put into practice. (U.K.) The Prince of Wales Global Sustainability Fellowship Program was recently launched by the the Cambridge Institute for Sustainability Leadership to provide a platform for academic departments, Cambridge colleges, and the private sector to collaborate to identify breakthrough solutions to meet the U.N. 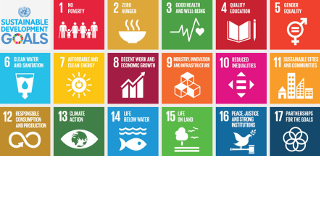 Sustainable Development Goals (SDGs). The National Association of College and University Business Officers (NACUBO) annual awards honor institutional excellence in higher education business and financial management. The three universities that received this honor for sustainability leadership are University of California, Los Angeles; University of Minnesota, Morris; and University of Texas at Arlington. The university is replacing the existing diesel-powered buses with six new electric buses to its campus shuttle network. In addition to improving air quality, the university also aims to reduce noise pollution. Transitioning to electric buses is expected to reduce shuttle greenhouse gas emissions by 70 percent from the diesel-powered shuttle buses. Construction of the 240-kilowatt solar electric system will begin in October, which will be mounted on the university's indoor practice arena. 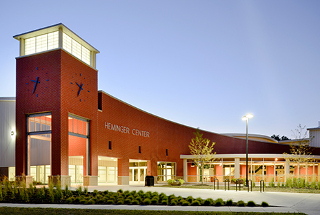 It is projected to supply approximately 26 percent of the annual electricity consumption of the building. Thanks to an undergraduate student, the university's School of Dentistry is now replacing some of the plastic toothbrushes handed out to patients with ones that have bamboo handles. The toothbrushes' handles are made from wild bamboo grown with no pesticides or fertilizer. The student secured grants to purchase the toothbrushes, which come from a company that donates part of its profits to a women's shelter in Seattle. The program is rolling out with about 200 dockless bikes and 40 designated bike-share parking areas. The bikes are equipped with solar-powered, GPS-enabled locking systems. 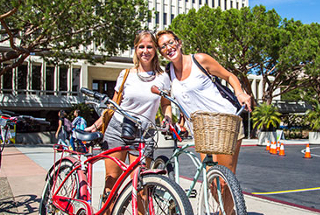 Starting fall 2018, students will be able to check out bicycles to ride around campus for free through a new Eco Bike Loan Program, which will have 30 bikes available for use by students, faculty and staff. Lenoir-Rhyne undergraduates pursuing a Bachelor of Science in Environmental Science and Policy that plan to pursue a Master of Science in Sustainability Studies at the university now have the opportunity to apply for the Bracewell/Trout Unlimited Conservation Education Scholarship. The expected award is $3,540 - $4,130 per year toward tuition and additional fees. In an effort to provide relief from the heat and smoke-filled air caused by dozens of climate-driven wildfires throughout the area, the university is now welcoming community members to several air-conditioned facilities across campus. The university has also opened its indoor track in the Student Recreation Center for community members to have a cool, clean place to exercise out of the smoke. Since last fall, Bucknell University Dining has donated excess fruit and vegetable cuttings to its Animal Behavior Program, which is used to supplement the diets of the roughly 50 primates housed on campus. The donated food has allowed the Animal Behavior Program to cut its supplemental food budget in half. Thanks in part to funding by the the Mid-South Resource Conservation & Development Council, Inc., the university has plans to install a teaching garden and entomology lab on campus this fall to introduce students to the plant sciences and sustainable agricultural practices. 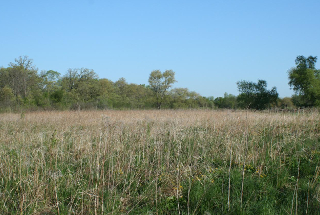 The university recently designated 10 acres of meadows as low-mow zones, meaning the meadows will only be mowed once a year. In addition to generating less noise and pollution, the university expects to see a cost savings on labor, chemicals and equipment use. After a successful trial project to keep bees and sell their honey, the university increased the hive count from four to six. 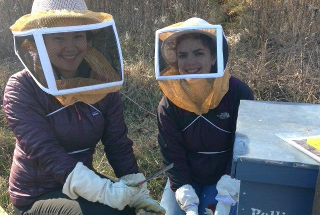 Over the two years of the project, the resident beekeeper has engaged 12 students and gives tours to the community at-large who are interested in urban food production. The service, called Biki, is launching in fall 2018 with six bicycle stations at various campus locations. 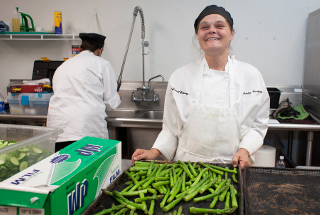 The annual National Association of College and University Food Services (NACUFS) Sustainability Awards recognize and honor member institutions that have demonstrated outstanding leadership in the promotion and implementation of environmental sustainability, specifically as it relates to campus dining operations. The overall winner was Harvard University, which also earned Silver in Waste Management. Boston College earned top honors in Outreach and Education, Carleton University earned first place in Waste Management, and the University of Rochester earned top place in Procurement Practices. The university’s Warehouse Laboratory, which houses biology, chemistry and physics labs, was an old Greyhound bus service station whose entire shell, walls and floor were kept during a recent renovation. 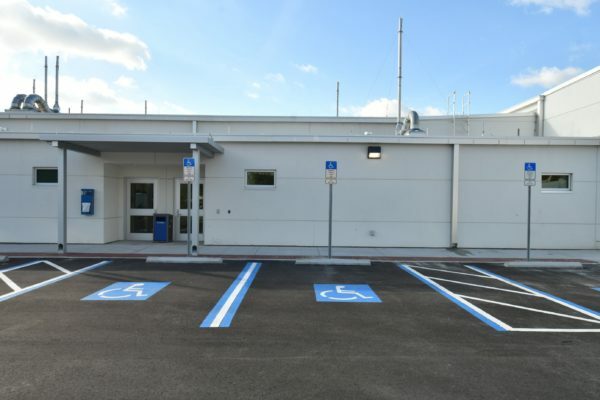 It features a 40-kilowatt solar carport, a new roof, an energy-efficient heating and air system, and enhanced insulation. The International Sustainable Campus Network announced the 2018 Sustainable Campus Excellence Award winners. The University of Copenhagen (Denmark) won the Building and Innovative Infrastructure Award; Stanford University won the Campus Planning and Management Systems Award; the Free University of Berlin (Germany) received the Innovative Collaboration Award; and the University of Cyprus (Cyprus) earned the Student Leadership Award. 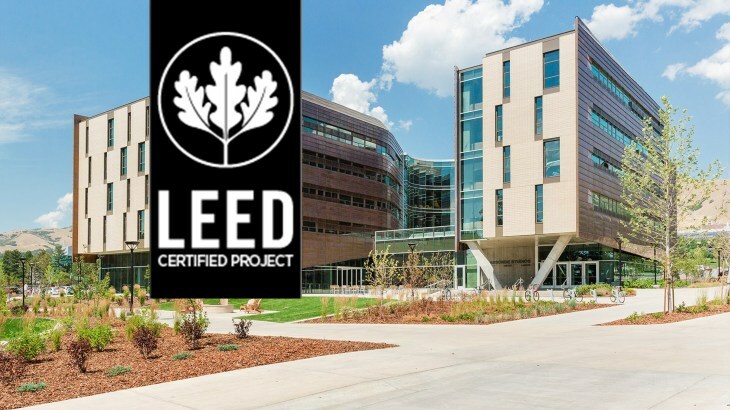 These awards recognize universities for exceptional sustainability efforts in campus planning, integration with academics, student leadership, and exemplary building projects. 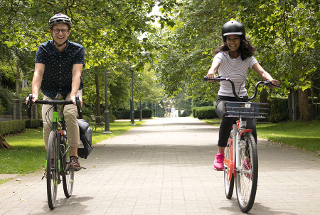 Starting in August, the university will launch a dockless bike-share program for the fall semester using Spin bicycles. 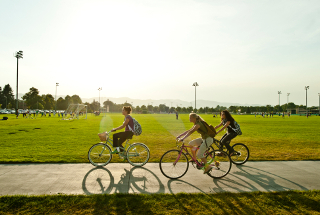 Students and staff can rent the bicycles using a smartphone app. The bikes' baskets contain a solar panel that powers the bike lock battery and GPS. All 34 dining locations on the university’s campus are now required to no longer carry single-use plastic carryout bags, plastic hot and cold beverage cups, plastic straws, and plastic utensils. 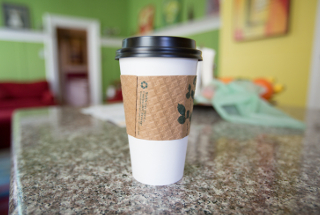 In recent years, Duke Dining has also eliminated its use of bleached paper products and Styrofoam. Dining venues will now use paper bags and utensils, and straws and drinkware made from a Polylactic acid (PLA), a biodegradable plant-based substance with properties similar to traditional, oil-based plastics. Employees at the university now have access to 16 new electric vehicle (EV) charging stations at four campus locations. Employees can refuel their electric vehicles at the stations free of charge. Later this summer, there will be two additional chargers available to employees, bringing the total to 18. 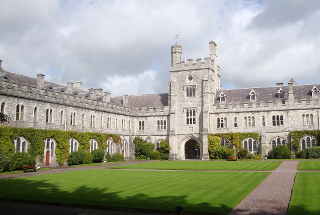 (Ireland) The new pledge announces the university's divestment from all projects with adverse environmental consequences and is intended to ensure that the university accounts for a diverse range of environmental, social and governance concerns in its financial decision-making. In conjunction with this decision, the university has joined the United Nations’ Principles for Responsible Investment (PRI). (South Africa) The university's South Campus will soon be producing just over 10 percent of its electricity needs thanks to a large solar array that will produce 1,740 megawatt-hours of electricity annually. The university has given a solar company a piece of land upon which they will install and maintain the plant for 10 years, selling the energy back to the university. At the 10-year mark, the university will take over ownership of the power plant and will no longer have to buy the electricity produced. The solar farm will contain a combination of single-axis and double-axis trackers. (U.K.) The university's hospitality and events team was recently awarded with the Cateys' Sustainable Business Award, organized by The Caterer. The Cateys are a U.K. hospitality and catering award program that showcases innovative brands and trail-blazing people from across hotels, restaurants, foodservice and pubs and bars. (U.K.) Following conversations with both students and staff members of the university, the university will no longer invest funds in fossil fuel companies and will withdraw all current investments in such organizations within three years.